Click the link: mbed Windows serial port driver. 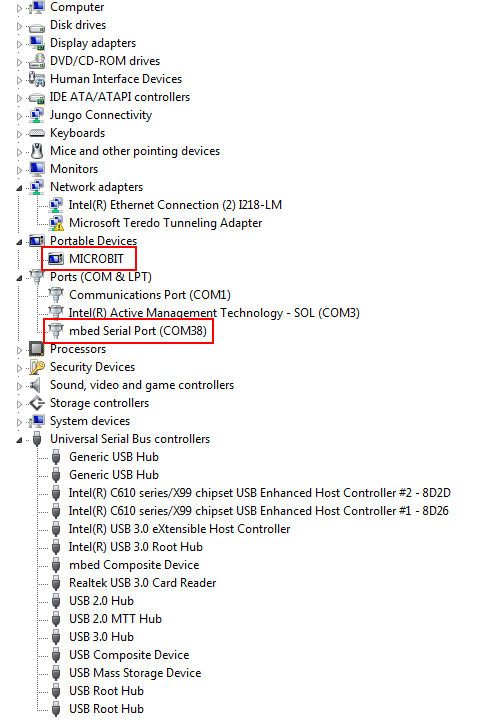 Download the mbed Windows serial port driver on your computer. To complete the installation, follow the on-screen instructions. After successful installation, you will see MICROBIT below the Portable Devices option and the serial port below the Port (COM & LPT) option of the Device Manager screen.